Well all scream for ice cream! Yesterday evening was picture perfect weather. 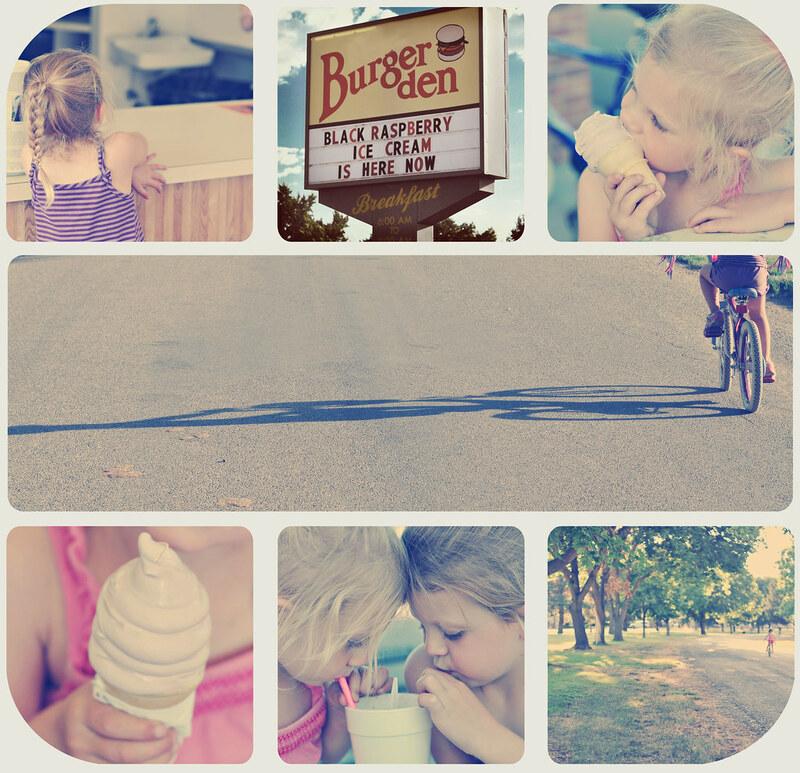 And there is nothing like a bike ride down the road for softies and milkshakes. Old-fashioned, classic summer fun. Love it! Oh, and I’d appreciate it if you’d buy me some of that black raspberry ice cream advertised on the marquee and mail it my way…thanks 🙂 Enjoy your weekend, Leesha!